Attention Party, Wedding, & Event Planners And Agencies: Give them what they want! Get more REPEAT clients! We happily serve the OH area and the Columbus and Ohio areas. Travel-fee-included packages are now available for anywhere in the world. Planning your party or event... get a fun and intriguing entertainment show, while providing a safe, clean, family-friendly environment. Especially for those delicate corporate accounts, you can rest assured that Chris's professional stage shows deliver a safe & tasteful, yet fun & intriguing experience. The “Worry-Free Pretalk” puts attendees at ease and makes them eager and want to participate! Invigorating, lively & fun. - Carol M.
Professionally run. - Patsy C.
A great experience. A lot of fun! - Bernice R.
Much enthusiasm! So upbeat. - Bill G.
- a very special, remembered event. …They’ll THANK YOU for a show well worth while! delivering safe intrigue and fun! 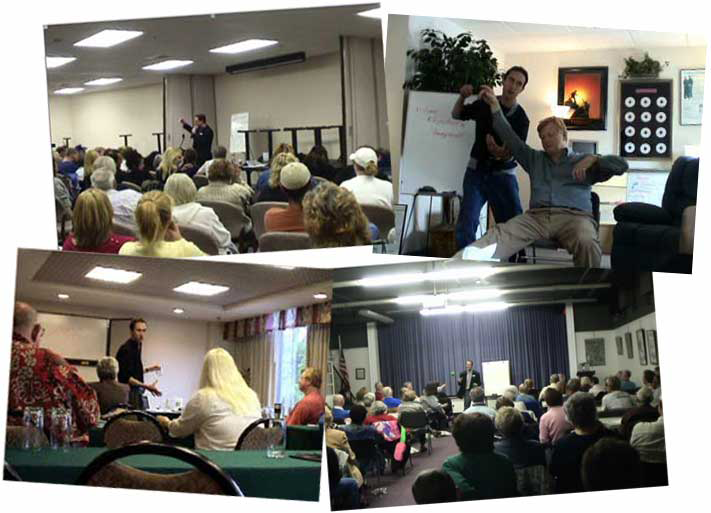 Our brief & informative, yet intriguing monologue on hypnosis puts attendees TRULY at ease and WANTING to participate. By the event’s end, they can feel proud that they were the stars of the show. Our in-depth experience in hypnosis delivers a fun, safe, and unique experience sure to be remembered. You are a busy person. Our staff is cooperative and will work with you to the best of our ability on whatever your special needs may be. We even offer possible Group & Tour Rates. • Your People Will Be Very Well Taken Care Of - Chris has the rare skill and experience of watching and reading people's subconscious cues and, and so, is the best assurance of a safe, effective, and fun show! • The Most Fun Possible While Safe & Family-Friendly - He has the experience of having performed thousands of real, actual client-visits with one-on-one people in his multiple live clinics for over 16 years (since 2000), and has put these skills to use on the stage! • Easy-Going Yet Intriguing Atmosphere And Show Design - With the Worry-Free PreTalk, your attendees can't wait to join the fun! 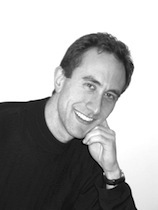 Chris Halbohm, Certified Hypnotist, is a master hypnotist and NLP (Neuro Linguistic Programming) & hypnosis trainer. Author of "End Worry & Sleep Well", he is founder of the leading hypnosis schools Ohio has to offer and one of the first hypnosis schools of its kind in the country. Chris was trained and certified in hypnosis and hypnotherapy through the National Guild of Hypnotists and the American Board of Hypnotherapy. He is sometimes known in the community as the "Accessible Expert". Chris Halbohm has a top-ranking, proven track record of client results and has has personally delivered thousands of client visits. He has developed multiple schools and clinics across the country - some of the most successful in existence. In his over 16 years (since 2000) clinical experience, Chris has appeared on local & national TV and radio and has spoken and taught at international conventions and been commissioned to speak for groups both public and private. He has been very involved in his community as a member of Lions Clubs International, teaching at the local community college, and serving on the Mayor and Council's Citizen Advisory Commission. Special "All-Travel-Expenses-Included" fee packages are available. You may inquire about Chris's availability for speaking, training, stage performance, or personal coaching services. Please call 855-669-2426.